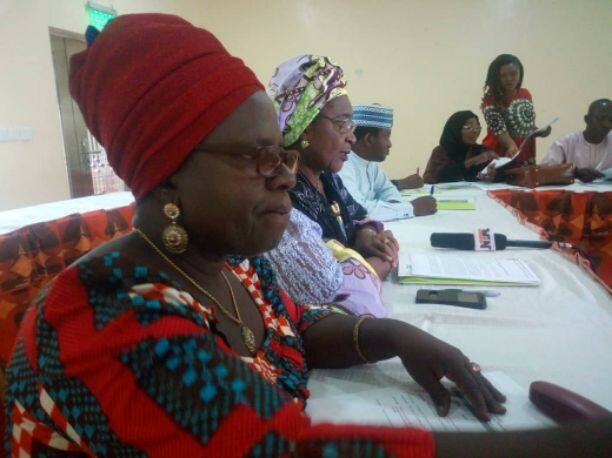 A non-governmental organisation, Civil Society – Scaling Up Nutrition in Nigeria (CS-SUNN) is advocating extension of maternity leave from three to six months for Kaduna women as it is in some states in Nigeria. This is one measure CS-SUNN believes will improve malnutrition of under five children because it will give nursing mothers the opportunity to practice exclusive breastfeeding and promote nutrition education to ensure appropriate Infant and Young Child Feeding practices and dietary diversification among women, especially in rural areas. CS-SUNN is currently implementing a project, the Partnership for Improving Nigeria Nutrition Systems (PINNS) which is aimed at strengthening the Nigeria nutrition systems to make them more Result-driven, Effective, Serviceable, Efficient and Transparent (RESET) in delivering on their mandate. Intimating media practitioners on the nutrition status in Kaduna state, Executive Secretary, CS-SUNN, Beatrice Eluaka said the engagement intended to highlight the nutrition situation in Kaduna State and government efforts in addressing the malnutrition menace as well as calling for improved funding and implementation of nutrition policies in the State. She specifically commended the Governor Nasir El-Rufai-led administration’s resolve to tackle malnutrition headlong in the state by way of puting mechanism in place to address the scourge. “We commend the state government for earmarking over N980 million for nutrition in the 2017 budget. “More so, data from CS-SUNN’s scorecard in 2016 showed that Kaduna state achieved 63% in the implementation of the National Strategic Plan of Action for Nutrition (NSPAN), a 37.5% improvement from implementation percent recorded in 2015”, she said. She, however, noted that, “available statistics indicate a rising trend in the state’s malnutrition burden, which continues to be a key contributor to infant and maternal mortality and morbidity, poor cognitive development and increased severity of diseases adversely affecting under-5 children in the State. “The 2015 National Nutrition and Health Survey (NNHS) reported a stunting rate in Kaduna State of 52.1% while underweight and wasting rates were 26.9% and 8.3% respectively. “While the latest Multiple Cluster Indicator Survey (MICS 2017) shows a decrease in the rate of stunting which was put at 40%, wasting and underweight rates for the state have increased with underweight at 34% and wasting at 11.7% which is above the WHO acceptable level and calls for emergency action. “Wasting or acute malnutrition is a condition whereby a child is too thin for his or her height due to long-term or current undernutrition or illness. “Stunting in children under five, a condition of physical and intellectual impairment that has lasting negative effects, is defined by low height for age. “Simply put, stunting is a condition in which the child is too short for his or her age with accompanying poor brain development and is a result of long-term undernutrition. “CS-SUNN is therefore, urging all relevant stakeholders led by government to make a deliberate effort to curb malnutrition in Kaduna State. “CS-SUNN calls on the state government to finalize the state specific National Multi-sectorial Plan of Action for Nutrition and improve implementation of existing nutrition plans.